We are part of the West District in Madison and there will be a new district realignment when the Midtown District building is functional. It has been planned for 2018. It should take the pressure off the West District building on McKenna Blvd. Presently 90 police and personnel work out of the West District location. Our neighborhood boundaries are NOT a high crime area. The best way to keep safe is to keep an active look out in the neighborhood and report any suspicious activity. If there is a non emergency concern, call 608 255-2345. 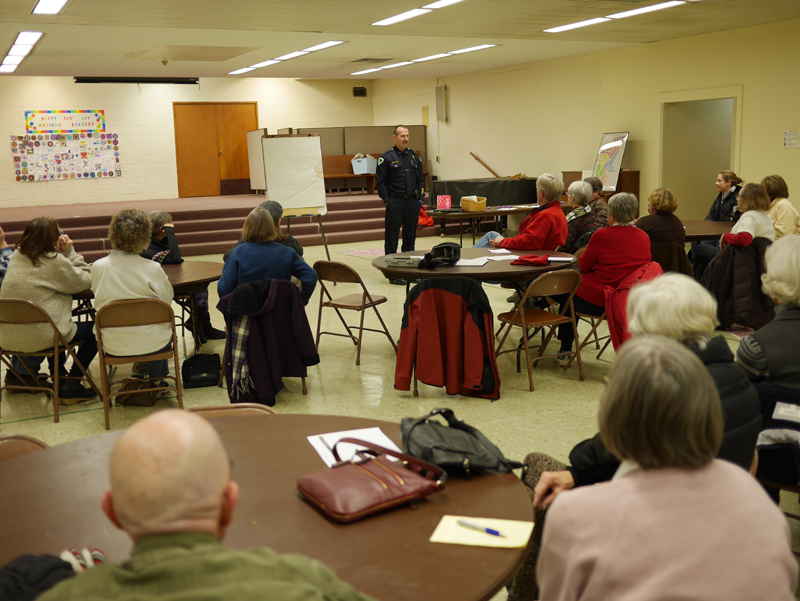 Captain Nelson stated that many crimes in our neighborhood are preventable by locking up your house, car, and not leaving valuables in plain sight. Always! There is also a crime category on Nextdoor.com. Many neighbors are registered at Nextdoor.com and it is an easy way to keep up with neighborhood concerns and events.